Rue Saint-Honoré, Rue de L’Arbre Sec and Rue Croix de Petits Champs – there I’ve celebrated my birthday, even without a clear planning. J’adore Charles De Gaulles and I always shout "SALUT" when I’m here again, and I love to walk there slowly and contemplate the people and buy a RER ticket and then to go TO Paris, very attentive and careful to any small moment. There is a million of stories: Jeanne d'Arc has been wounded here during her attack on Paris, here Ravaillac killed Henry IV by dagger, here Robespierre was captures and invited to the guillotine, and so ME, I’m here, with delight and two cache-nez because it's so cold here, and with mon ami Maurizio,and we’re living here, at Rue Croix de Petits Champs, and walking and dancing. What else while you're HERE. You know who Henri IV is? He’s ERRICO! That's his Spanish name -- and it's mine too. Parigi vale bene una messa - says Mauri. I correct him: “Paris vaux bien une messe” and we stroll there, to my very dear piccolo viccoli: Bucherie, Chat qui pêche and Huchette, and then we’re on Gospel concert, and it’s endless, it’s always, just here. Hello Erika:) I have never been to Paris but I believe you that it must be wonderful. Glad you are blogging again:) Have a nice day!! Dear Renate, yess, I came back again. merci for your nice words ! It is my dream to visit Paris someday. 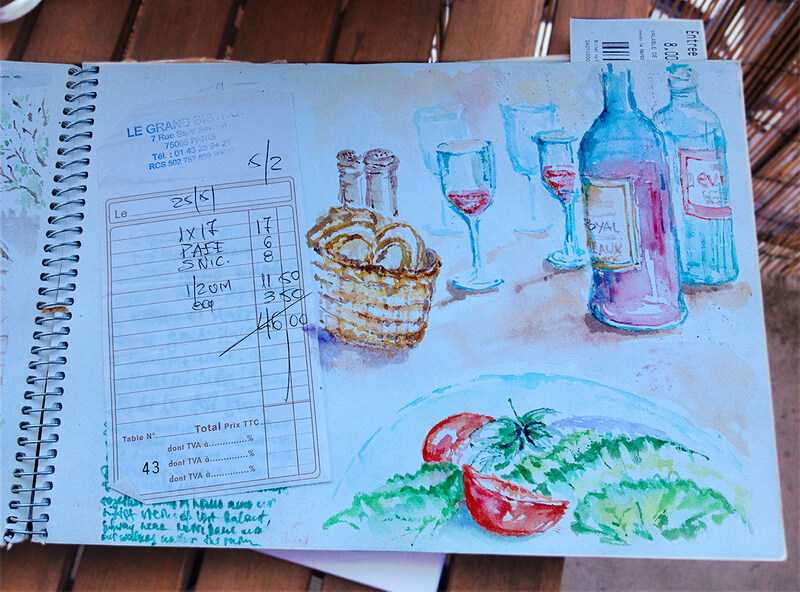 Thank you for sharing your photographs and the beautiful watercolors in your art journal. Happy Sunday Sketches from #5 and Blessings! I love Paris, wonderful photos and a great look back for me, I've only been once. 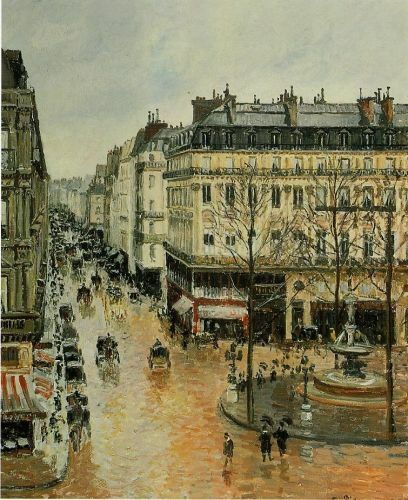 Great art work and photos, I love Paris, brings back lots of lovely memories. I only visited Paris once. Thank you for allowing me to share your memories and bringing back mine. Your artwork and photos are beautiful.